Welcome to the Restaurants in Albany and surrounding areas. Experience fine dining in the capital region of New York State! Are you in the mood for a quick deli sandwich packed with only the freshest meats and cheeses? Or do you have reservations at an intimate, stately establishment in the heart of downtown? 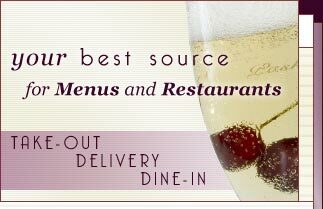 What could be better than taking a dinner cruise along the Hudson River or picking up delivery and dining riverside? Albany restaurants cater to every cuisine, whether your hunger is for Italian, Greek or Chinese. There is an abundance of dining possibilities for every palate and occasion, therefore begin your search for the perfect dining experience with the help of MenuMart.com. Let us help you locate the perfect restaurant in Albany New York that will not only complement your style, but also satisfy your craving for delicious food! Website Design, Development & Search Engine Optimization by Mannix Marketing, Inc.